Martello towers are small defensive forts that were built by the British in response to a threatened invasion by Napoleon Bonaparte at the beginning of the 19th century. 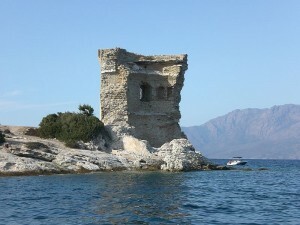 These towers take their name from a 16th century tower located at Cape Mortella on the Island of Corsica. During the French Revolutionary Wars, the tower at Cape Mortella was attacked by two British warships; the Juno and the Fortitude. A fierce battle ensued. The British eventually managed to take the tower but only after suffering severe casualties. So impressed were the attackers by the defensive capabilities of the French tower, they were inspired to use a similar design for their own structures built later to defend against the French. They even took the name which, in translation, became ‘Martello’. Over 100 Martello towers were built in Britain and about 50 around Ireland. Around Dublin, the capital, there are 16 Martello sites to the south of the city and 12 to the north. They stretch all the way from Bray, in County Wicklow, to Balbriggan on the Northside. The Dublin towers were used both for defence and as an early warning system with each tower built within sight of its neighbour allowing easy communication in the event of an invasion. Many of the Dublin towers had adjacent gun batteries with several cannon augmenting the 18 or 24 pounder atop the tower itself. The Dublin coast was, indeed, bristling with firepower at this time– it’s no wonder Napoleon didn’t dare risk a landing! 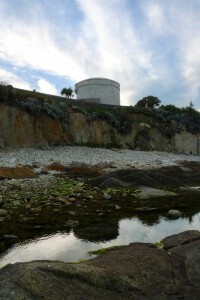 The tower, here in Sandycove, is a typical Martello tower with three stories and a well-protected first floor entrance. The ground floor was given over to the Sergeant’s quarters and to the storage of provisions and munitions (gunpowder, cannonballs, shot etc.). The second floor (the round room) was the main quarters for the 16 gunners who would have been stationed there (12 to operate the cannon and 4 spares!). Finally, the top of the tower was where the large cannon was placed on rails allowing it to be turned and aimed in almost any direction. 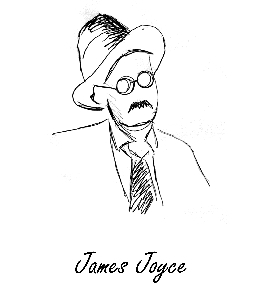 The tower now houses a museum dedicated to the life and works of the great writer and visitors from all over the world delight in retracing the steps of Joyce’s characters as they begin what is, arguably, the finest novel ever written. "O, damn you and your Paris fads! Buck Mulligan said. I want Sandycove milk."